Send your letters to: Galaxy Forum, Doctor Who Magazine, Brockbourne House, 77 Mount Ephraim, Tunbridge Wells, Kent, TN4 8BS. Abbot of the Doctor, drawn and painted by Gregory Kearney. As a second-year TV student at UCLan and a fan of Doctor Who, the news that my university was recreating Mission to the Unknown was an opportunity I wanted to completely throw myself into. I got the role of assistant director and the project was an amazing experience; it was surreal to see a jungle, a rocket and a Dalek in a room that a few days previously I was in for a lecture. Meeting actors Peter Purves, Edward de Souza and Nick Briggs was a treat and the energy of everyone during the entire week is something I’ll never forget! 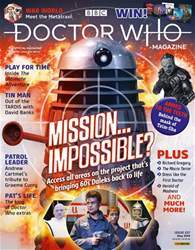 DOCTOR WHO MAGAZINE 537 REVEALS THE REMAKE OF MISSION TO THE UNKNOWN! This issue also includes: • What does it takes to become a Stenza warrior? Actor Samuel Oatley explains. • An interview with the man behind the new version of Mission to the Unknown. • Colin Baker and the cast of The Ultimate Adventure look back on the Doctor Who stage play. • Backstage with Colin Baker at Leeds' Grand Theatre in 1989. • War World – an in-depth look at the script originally intended for the 1989 stage production. • Cyber Leader David Banks dips into the TARDIS tin. • Tributes to the king of Doctor Who extras Pat Gorman and visual effects designer Richard Gregory. • Former script editor Andrew Cartmel remembers Happiness Patrol writer Graeme Curry. • A preview of this year’s Record Store Day releases. • Part Three of Herald of Madness, a new comic strip adventure featuring the Thirteenth Doctor and her friends. 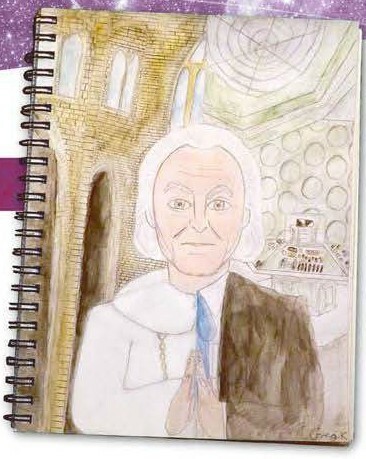 • How to dress like the First Doctor – along with his friends and foes. • Does the 1996 TV movie impress the Time Team? • The Blogs of Doom, audio reviews, previews, news, prize-winning competitions and much, much more!